A Jack Arnold home on the lake. 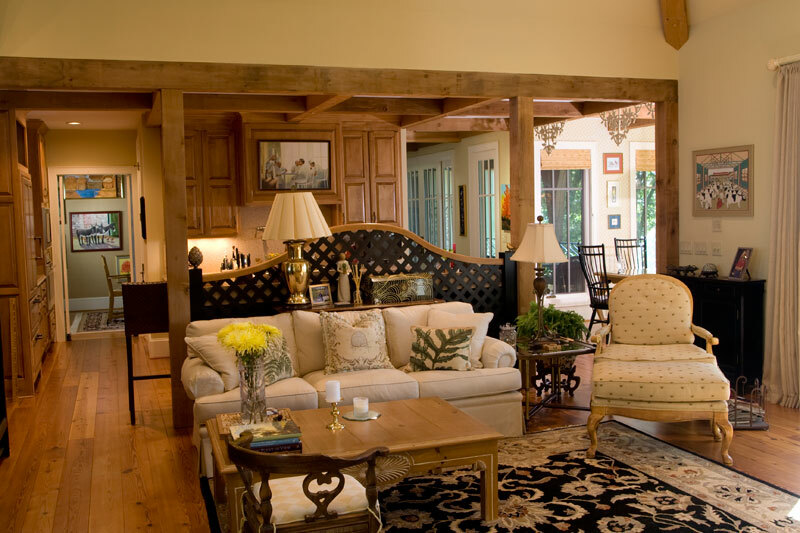 An empty nester couple builds their dream home on a peaceful lake in Alabama. 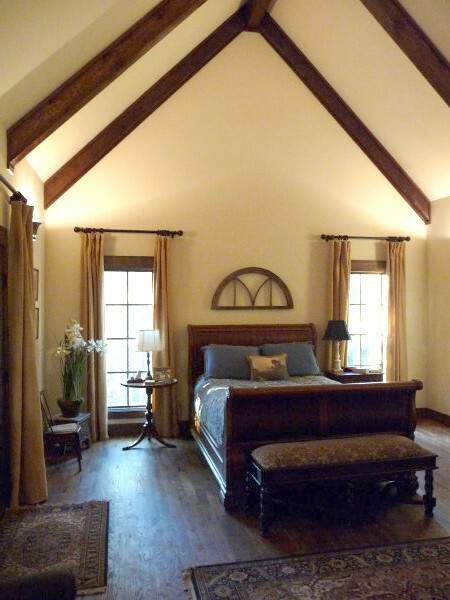 See how the Armand plan, from our Cottages portfolio, goes from concept to reality. 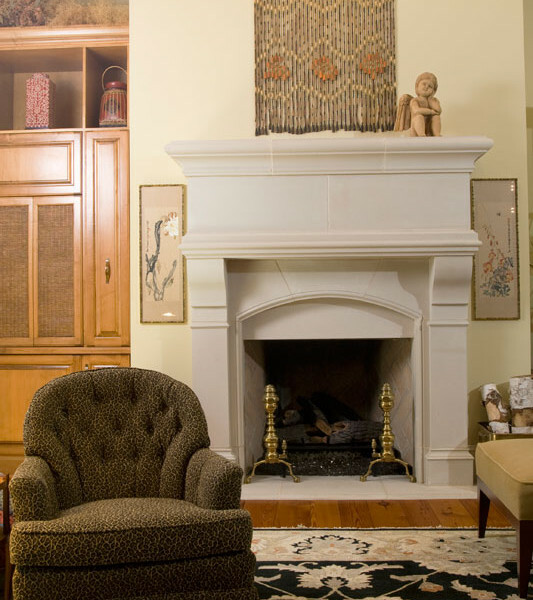 A: We have always been drawn to the texture and patina of old things; furniture, wood, copper, stone. I was inspired by a trip to Europe, falling in love with its architecture and finishes; stone walls and flooring and beamed ceilings. 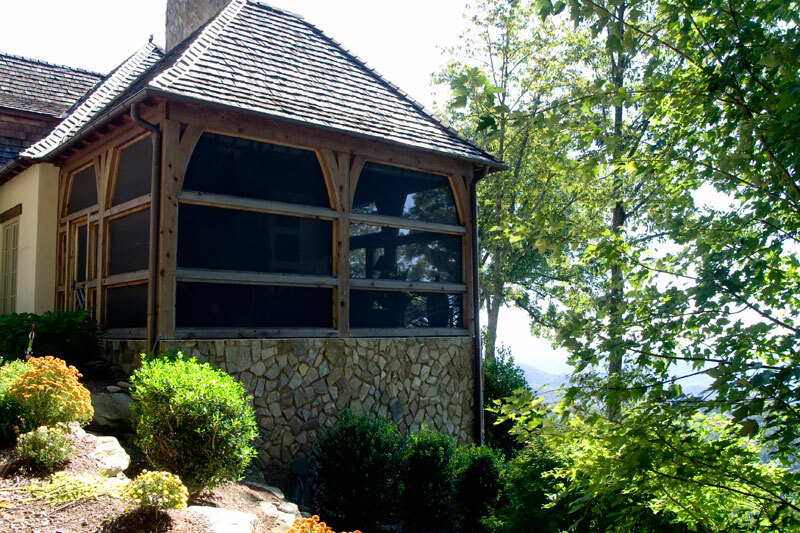 We both wanted an open floor plan, windows and doors across the back to take in the lake and ridge view, beams and as much stone as budget would allow. A home that settled on the lot instead of taking center stage. 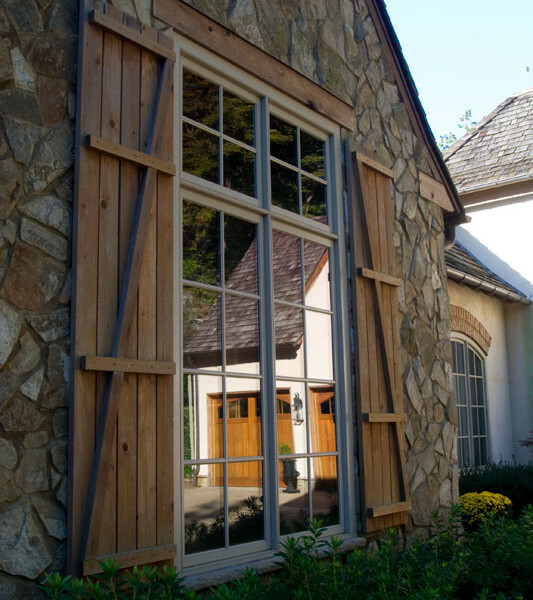 One that brought the outside in, with windows and materials. One goal was to build a low maintenance home, be large enough to accommodate our out-of-state children and future additions to the family, yet be able to live only on the main level if necessary. Q: What really got the process started? Tell us a little bit about your property. A: We raised our family in the suburbs, but started thinking about where we wanted to live when we became empty nesters. 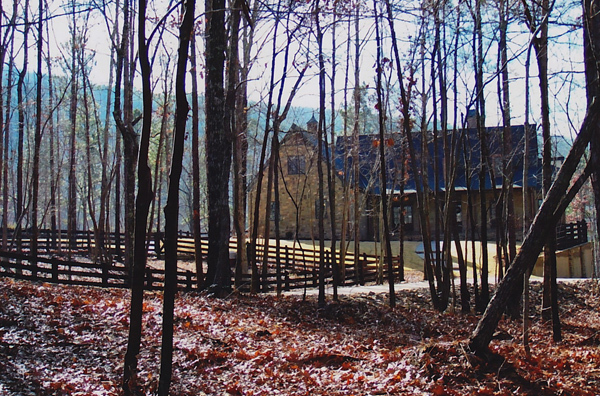 We discovered a new development nestled in the valley along a mountain ridge. 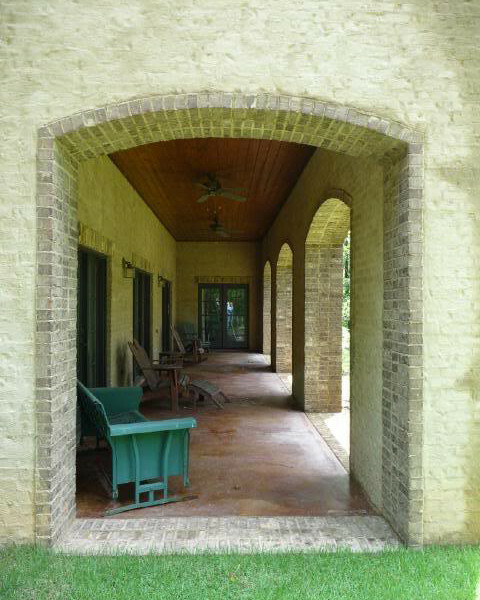 Everyone has three acres or more, and we fell in love with a 4.5 acre lake lot. I had grown up on a small lake and always wanted to live on water again. We purchased the lot and waited for the last of our three children to graduate high school. We contacted Homes of Elegance and purchased several portfolios to see if there was a pre-existing house plan that suited not only our lot, but our wants and needs. Q: How did you learn about Homes of Elegance? Had you heard of Jack Arnold previously? Did you know anyone who owned a Jack Arnold home? Had you visited one before? A: We first discovered Jack Arnold and Homes of Elegance when I purchased the Spring 1991 issue of Building Ideas, which featured the Magnifique plan by Jack Arnold. I still have it, as well as other publications featuring his work. It was actually the first floor plan we considered, but after seeing the main level of the Armand, we realized it was perfect for the lot and our way of living. So we purchased a plan and studied it for the next year, before contacting Homes of Elegance to make changes and additions. We lived in our previous home 20 years, and hope to be here just as long, so we wanted to get it right. The building experience can be trying–we’ve all heard the horror stories–and it all begins with working with an architect. 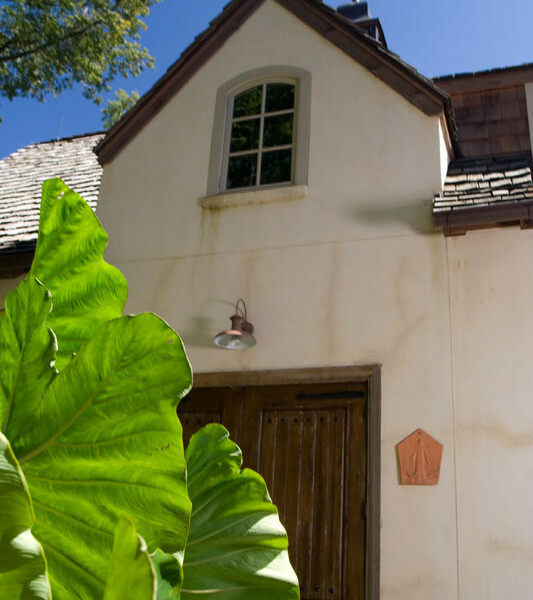 We don’t know anyone who owns a Jack Arnold home and we had never visited a finished Jack Arnold, but we both have enough experience in construction and design to see that Jack’s plans are distinct. I am a big magazine junkie, and when, for example, I saw the Kohler’s Wisconsin home in Traditional Home a few year’s ago, I recognized it as an Arnold design right away. A: After deciding on the Armand, we spoke with Trey Arnold and he sent us several floor plans with various square footage. We purchased a single set of plans–and began the year-long process of looking over them. Q: Did you make changes to the plan? If so, describe that process. 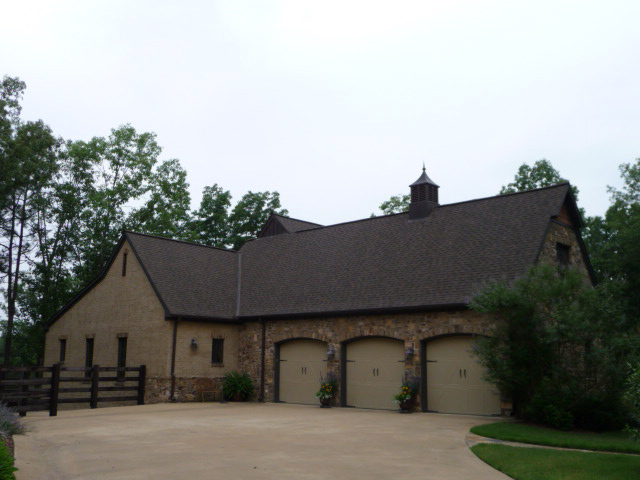 A: We made numerous changes to the original plan–deleting the upper level completely, adding a lower level, making the house longer and adding another bay to the garage. These changes made the layout more suitable for our day-to-day living. The exterior is very similar to the original, though we changed the board and batten to a mortar wash brick for lower maintenance. 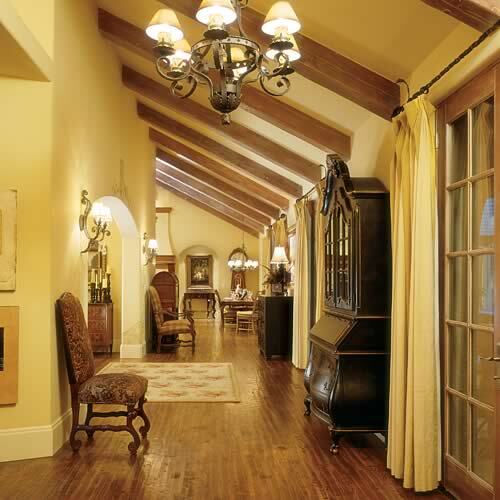 Working with the Homes of Elegance team long distance was easy through email and phone calls. Our first step was to make a detailed list of the changes and additions, which we emailed along with a page from a magazine that showed what we wanted the lower level back to look like. That level was developed from scratch, and we wanted the layout to work well while giving rooms maximum views. Q: Who was your builder and how did you make that selection? A: We went to a few neighborhoods and found several houses we liked–not only due to the structures themselves, but the features and construction were well carried out. One of our pet peeves is substandard building and finishes. They ended up being built by the same construction company. The bid was higher than planned, due to high overhead, and he was not open to homeowners helping along the way, so we kept searching. We then contacted the local Home Builder’s Association and asked our commercial subcontractors for recommendations. 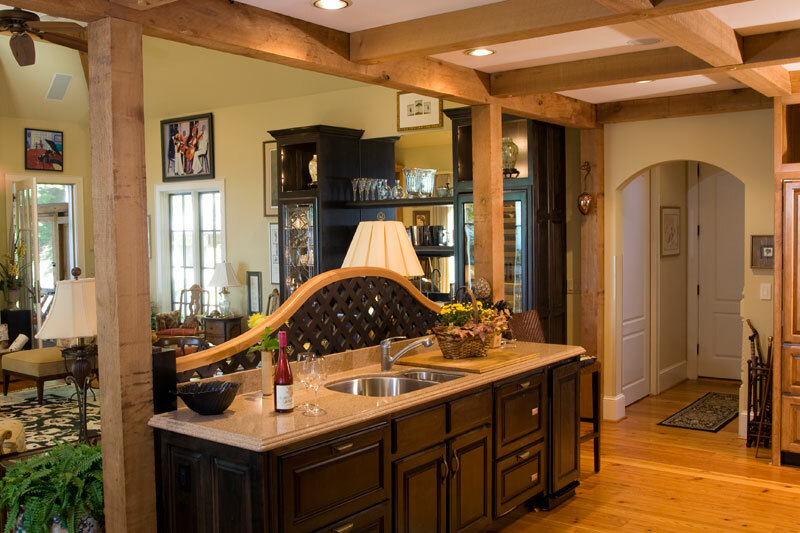 We heard only high praise for custom home builder Glynn Durrett, and after meeting with him, we knew he had our General Contractor. Glynn was always looking out for our best interest, while watching the bottom dollar. Many of our subcontractors were families–father/son stonemasons, father/sons/relatives brick masons, father/son electrical company–a mix of Glynn’s regular, a few new and a couple of our long-time commercial subs. Glynn has become our friend during the process, and it’s always a pleasure to hear from him and his wife. Q: When did construction start and how long did it take? What, if any, surprises did you encounter along the way? A: We broke ground the last week of December 2005, and moved in 9 months later. Construction was estimated to take 11 months, but having as much as possible selected before building begins, not making any major changes during construction and having excellent subs and an experienced builder made it an easy process. The subs were happy to have one of us on site daily, so that any questions or concerns they had could be answered quickly. We did not work with an interior designer. No delays or surprises were experienced, and we found the process enjoyable. Q: Describe the feeling of moving into and living in the home. Did it meet your expectations? A: Even though there were tears when the for sale sign went up on our family home, this house is so much a part of who we are, it was easy to leave it behind. It has felt like home from day one. 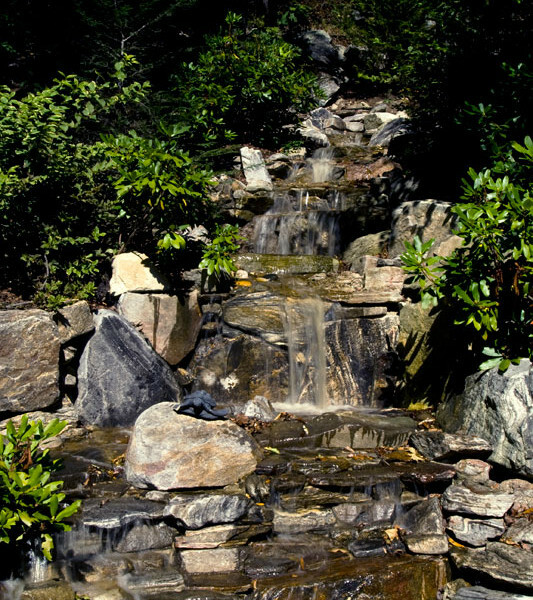 We are only twelve minutes from civilization, but a world away. It truly feels like we’re on vacation every day. It exceeds our expectations, and I have to pinch myself almost daily. Q: What is your favorite part(s) about your new home? 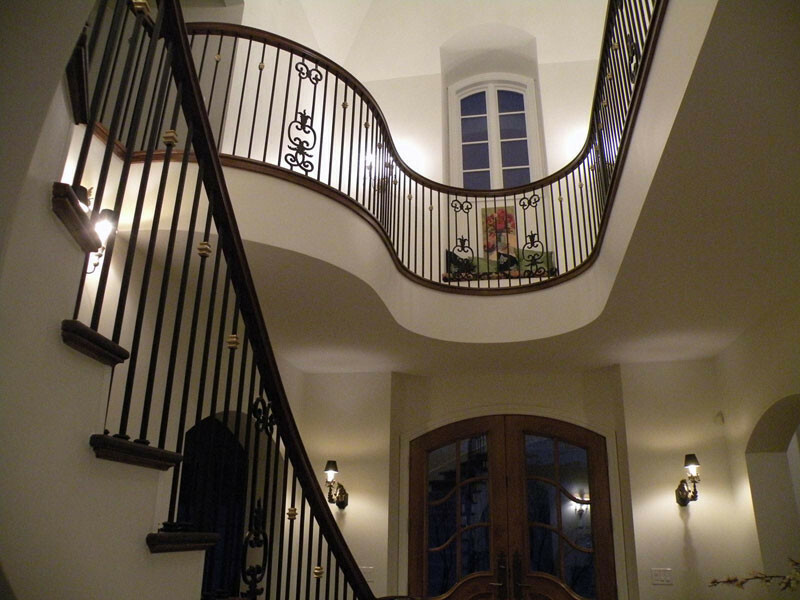 What aspects of your new home “wows” your guests? A: We love how easy it is to live in our new home. To be honest, in the beginning we considered adding some sort of divider between the kitchen and great room. But Jack said “no!” and I heard him all the way in Alabama! We’re glad we listened, as the openness is enjoyed by everyone. 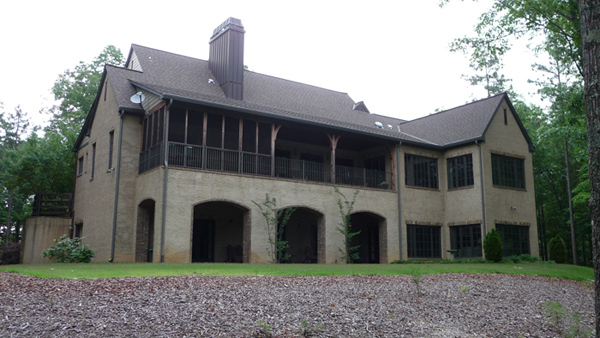 Guests are surprised at how large the house is, and once inside, comment that it seems to go on forever. The house looks deceptively small, especially from the front, as you never see the entire house from the front or the back. When you step inside, you aren’t expecting it. We like that element of surprise. It’s a big house that lives small. 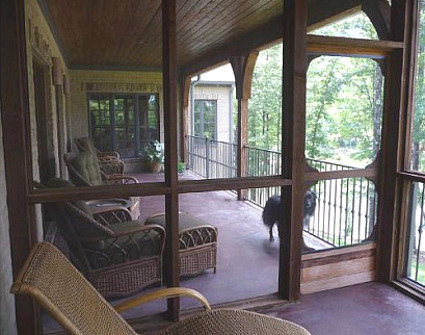 We love the verandas and spend a lot of time outdoors with our dogs. They are generously deep, so there is plenty of room for comfortable seating. 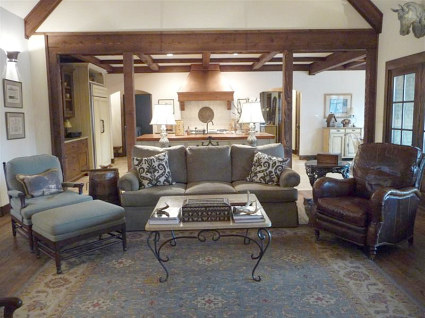 The great room is fairly large, but it is comfortable. 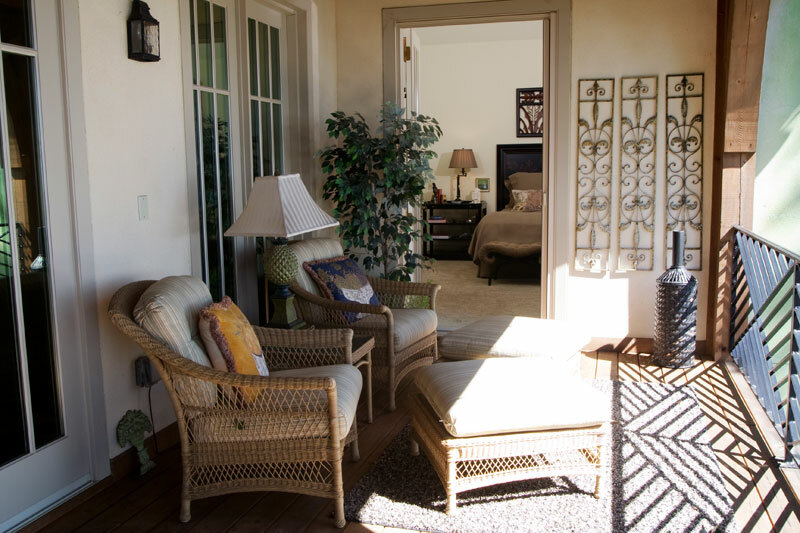 I love the triple French doors leading onto the upper back veranda. We poured higher than normal walls, so that the lower level would have high ceilings. The finishes are the same as the main level, so no one is allowed to call it a “basement.” I had a basement for 20 years, and I did not want another one! My kitchen is amazing. 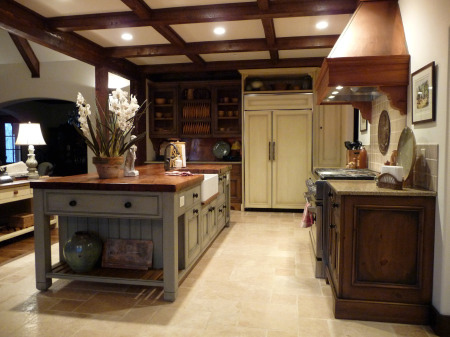 The cabinetry was designed using my ideas. It was built in England and finished on site by three extremely talented craftsmen. My husband thought we were going to end up in a house without a kitchen because I was not willing to settle on my vision. 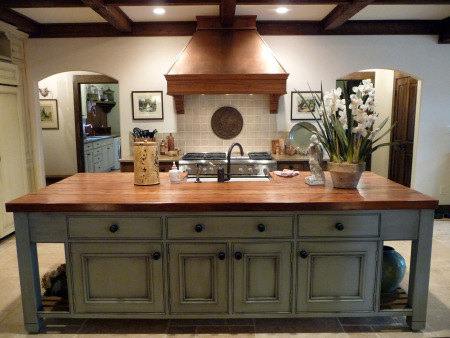 We have to pull guest away from the island and its antique pine counter. I have a long list of favorites, but the last one I’ll mention are the copper accents. I love the copper cupola and half round gutters Jack specs. 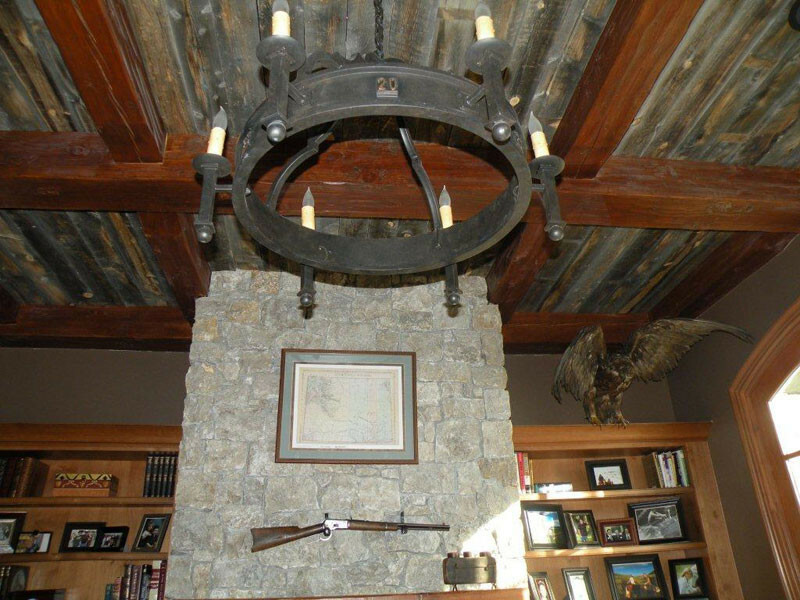 We had a custom chimney cap made locally; even the chimney itself is clad in copper sheeting, and we used copper on the roof valleys and trim. 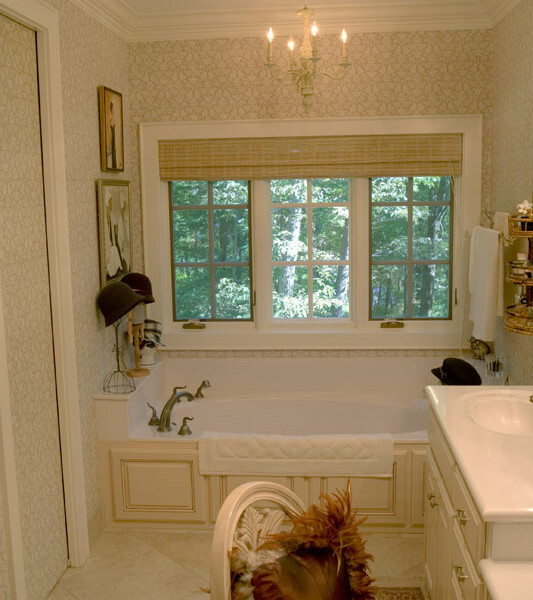 I also used sheets for the powder room ceiling and several backsplash areas. There are several copper sinks and faucets also. Glynn joked that the cost of the penny had gone up to two cents due to using so much copper during construction. In the future, I would like to add a pair of Jack’s copper chimney pots and roof vents. The chimney pots were fairly new, and we could not find a local installer at the time. Q: Would you recommend Homes of Elegance to a friend? Why? 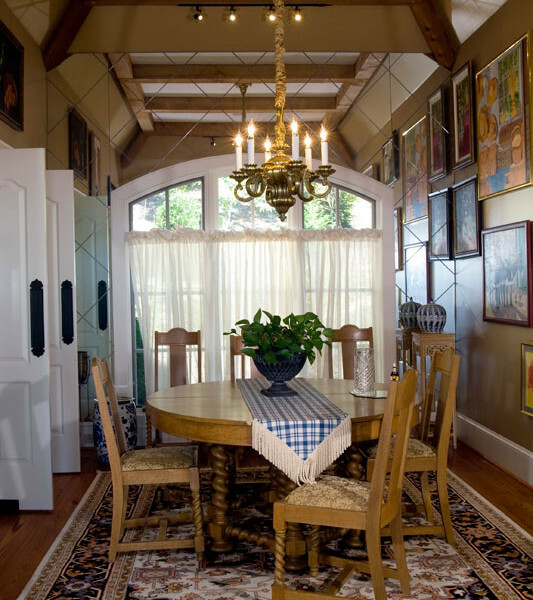 A: We highly recommend Homes of Elegance to friends, and to visitors of your website. There is fear in the unknown, in using a long-distance architect, but working with the talented and professional Homes of Elegance team was a pleasant experience. We were truly able create the home of our dreams. 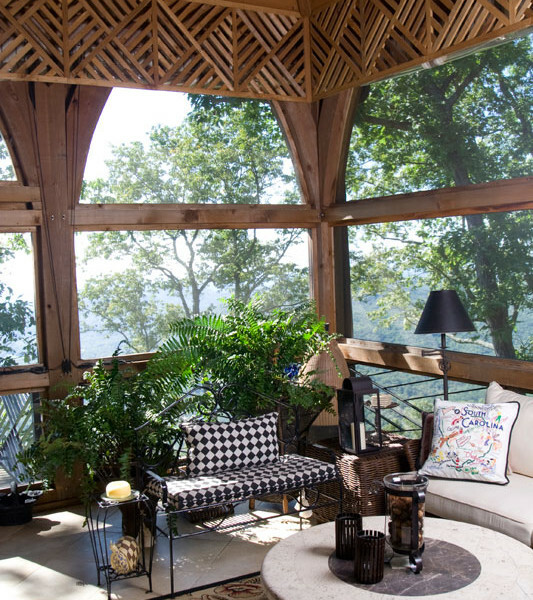 One couple’s obsession with Jack Arnold design leads them to their Dream Home. Some people just know what they want, and won’t settle for anything less. 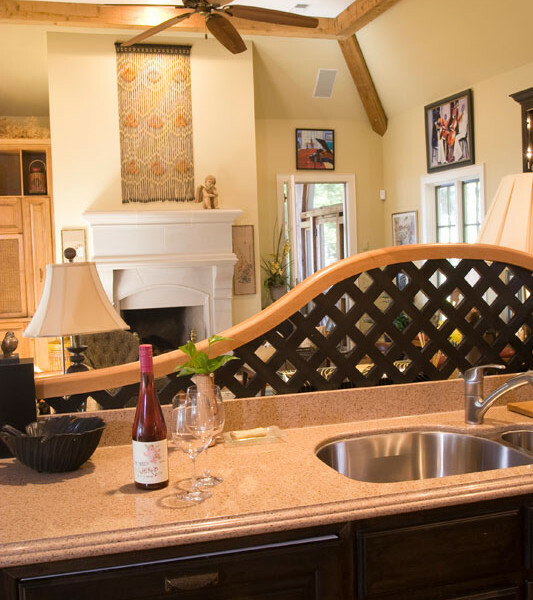 For one couple, only a Jack Arnold home would suffice as their forever home after 24 years of marriage. Not just any Jack Arnold home would fit the bill, however. 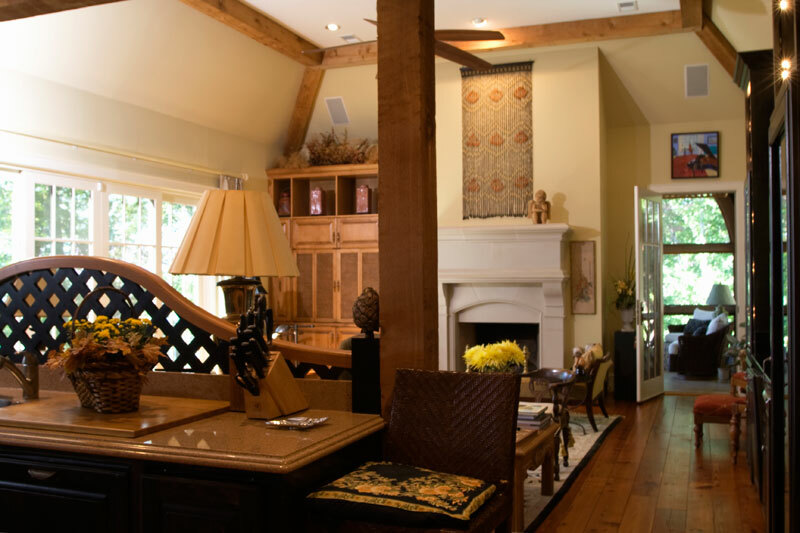 They had their hearts set on Jack Arnold’s “Dream Home,” a one-story plan sold through Arnold’s Homes of Elegance company. And they went to great lengths to find it. 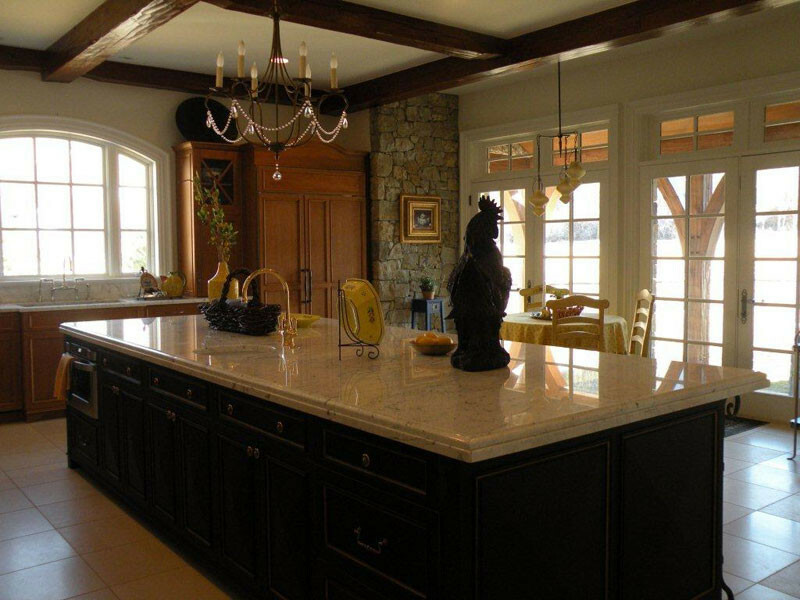 What drew them to the Dream Home was the level of detail, luxury and amenities in a one-story home. Moving every few years for the husband’s job meant that the couple was waiting to build their dream home when the timing was just right. That didn’t keep them from searching the internet for “Jack Arnold Homes” in every city where they resided. While living in Rogers, Arkansas, the wife turned up a treasure while searching online. 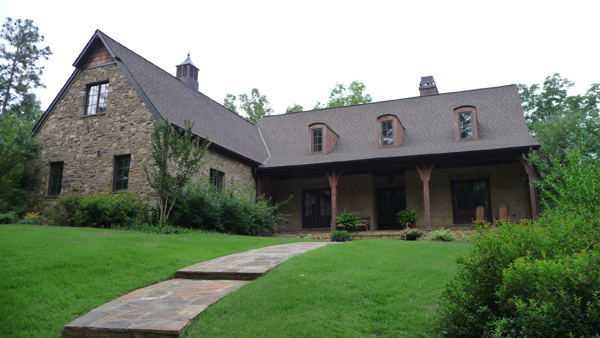 The original Dream Home, built on several acres in northeastern Oklahoma, was for sale. They decided that it was time to put down the roots they’d always longed for in the home they’d always envisioned. “It’s a home that fits both the country and a neighborhood equally well,” he adds. “We go out to the courtyards to have breakfast and just love it. After living in Europe for four years, we know what that lifestyle is like, what that architecture is like. 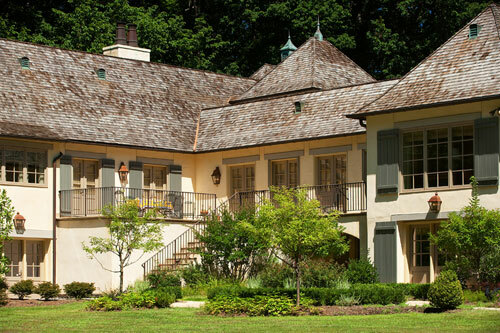 A Virginia home renovated with Southern French atmopshere. 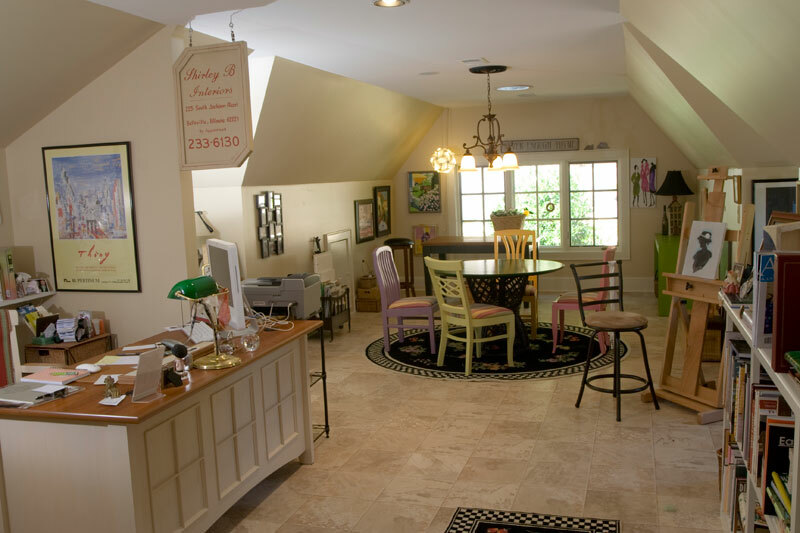 When Pat and Carol of Great Falls, Virginia, wanted to remodel their 1973 split- level home, persistence was key. 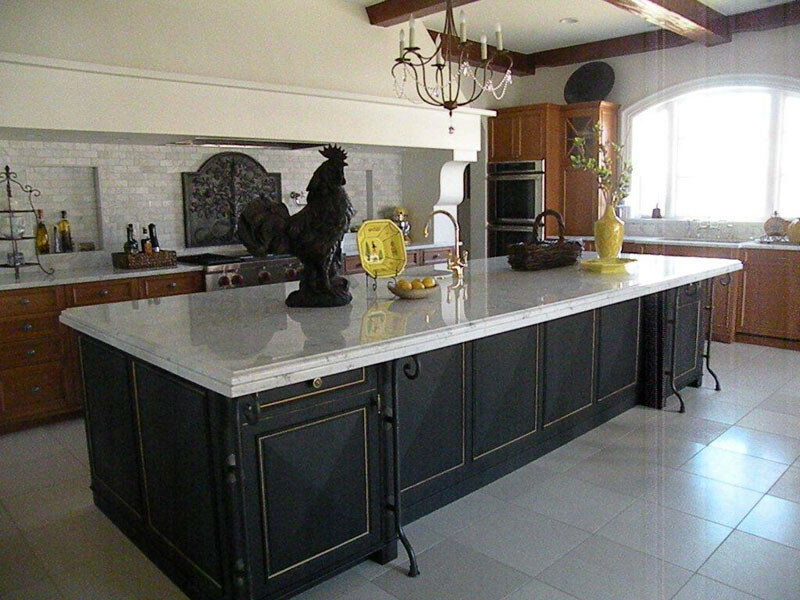 Carol recently had found a Jack Arnold ad in a home magazine and knew a French look was what she wanted out of the transformation. Little did she know, Jack Arnold doesn’t do many remodel projects. Pat, a Tulsa native, was volunteering at the U.S. Open at Southern Hills Country Club in 2001 when he met Jack. Situated on five acres just 10 miles outside the D.C. beltway, the 4,500 square-foot home was a one-story ranch in the front and included a second level in the back. Pat and Carol were involved in the planning process from day one. As the project evolved over three years of planning and construction, the final result is a home worthy of the French countryside. One goal the couple had in mind from the outset was creating a home with enough space for multiple generations to gather and enjoy being together. 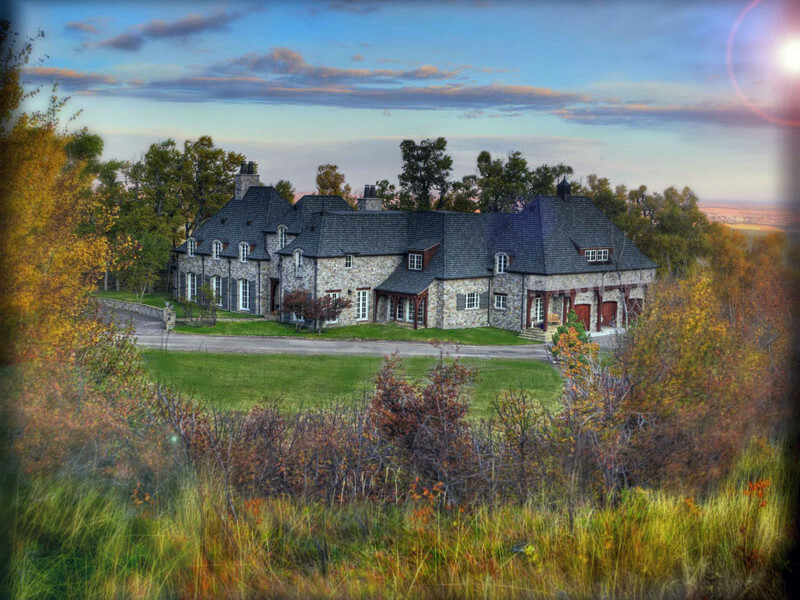 Now at 8,500 square feet, the home offers ample room for family entertaining. 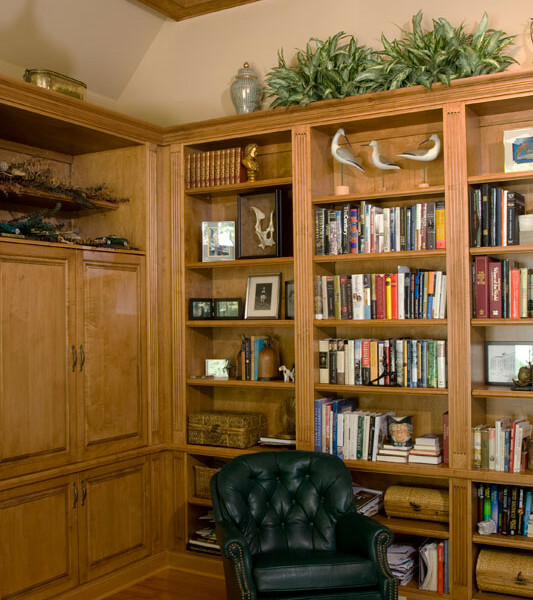 The level of detail provided in Jack’s construction documents helped to define the home. There’s even a hidden door in the library that leads to the tower room-much like a hidden door in Jack’s own library. Even breast cancer couldn’t stop Shirley from building the new Jack Arnold home she and her husband Jan had been dreaming of for years. After selling properties in their native Illinois and in Florida, the empty nester couple moved to be closer to their son and his children in South Carolina. 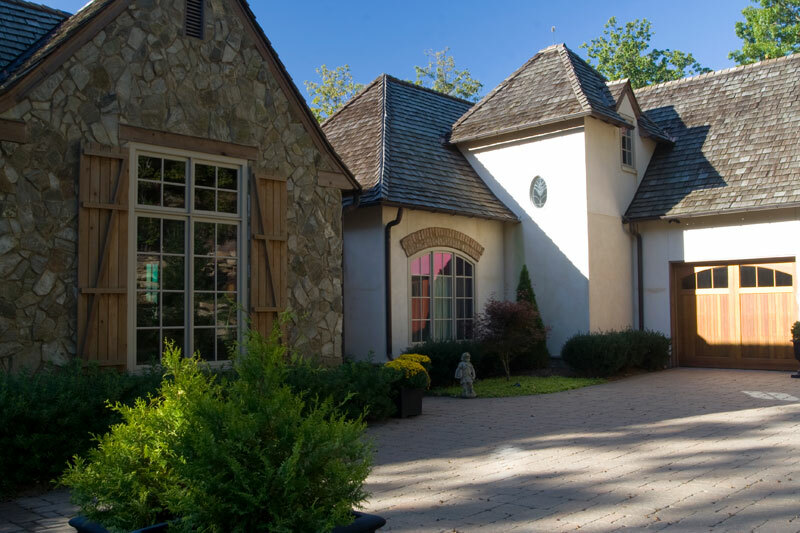 A lot in a planned lake and golf community nestled next to the Blue Ridge Mountains fit the bill for the Lafayette plan they purchased from Jack Arnold’s Homes of Elegance company. But in the midst of construction, they found themselves facing a completely new set of issues not in their plans. 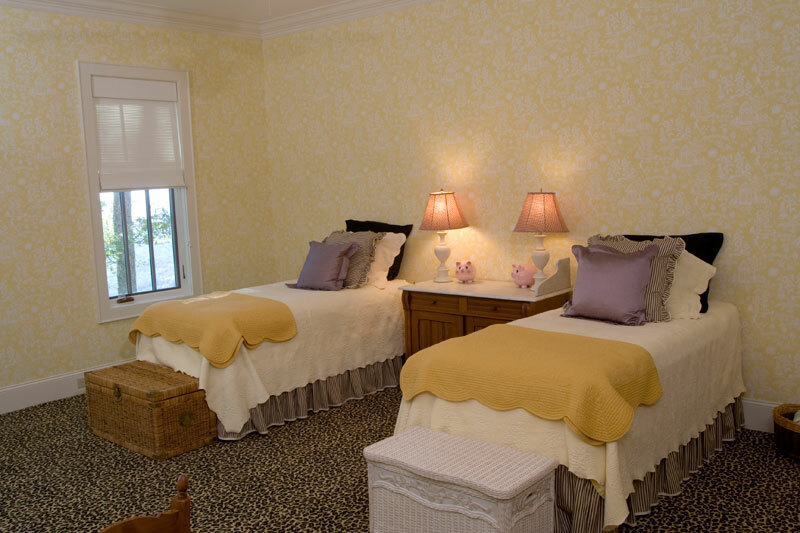 But Jan recalls that Shirley, an interior designer, ultimately found working on the project therapeutic. “She had chemo treatments every three weeks, and she always felt best during that middle week. That’s when she’d pack up her drawings and material samples and head over to the job site to work on the house. I think it kept her mind off of having cancer,” he says. With the illness now behind her, Shirley is enjoying the house to the fullest. “We love how we can live on the first floor, then use our lower level for our son and his family when they come to visit,” she says. 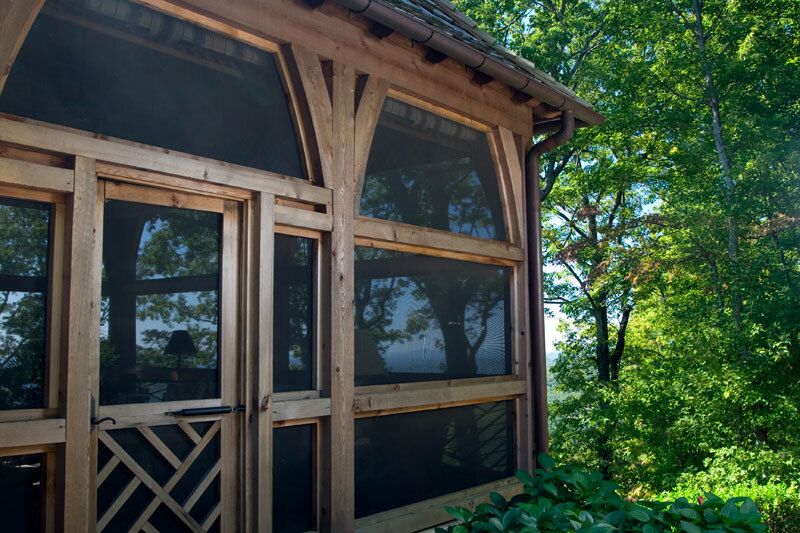 “Our dining room is just perfect for what we need, and the elevated screen porches and patio are amazing­–they are one of my favorite features of the house. 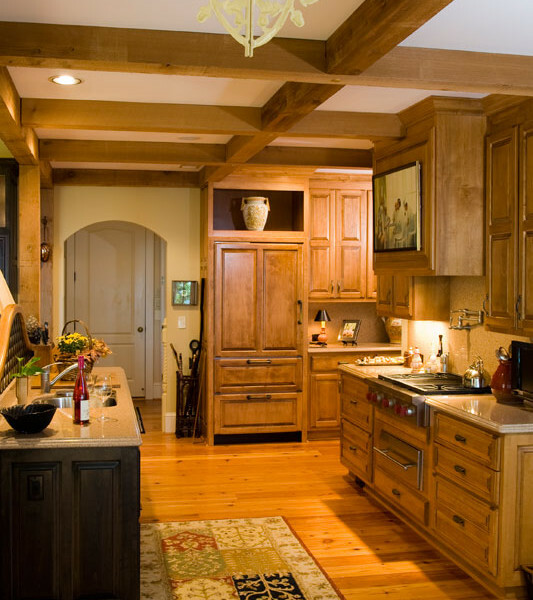 After meeting with several local builders, they selected Gary Von Cannon, a small custom builder from the area with an eye for detail who had built Jack Arnold plans previously–and who knew where to find the special materials they wanted. 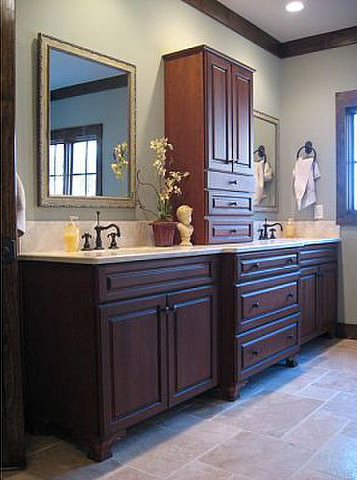 As a builder, Gary knew that a Jack Arnold plan is full of details that really make the home special. “I think we had something like 320 exposed scalloped rafter tails on that house,” he says. “Not many builders will go to the effort to do that. But if you don’t, it really changes the whole character of the house. “Jack Arnold plans really need to be built by someone who pays close attention to the drawings and has built custom homes before. I think they are really well-designed homes with good engineering­–very thought out,” says Gary. Today Jan and Shirley are enjoying 50 years of marriage in a home that is beyond their expectations. And they have good advice for anyone looking to build a custom home. 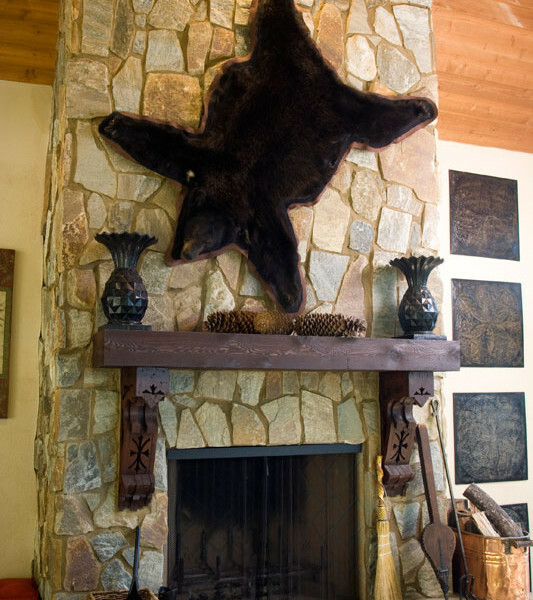 A Wyoming couple creates rustic elegance with special details in their Jack Arnold home. When you build an 8,000 square foot European home at the base of a mountain in Wyoming, one design genre might come to mind. At least it did for Cathy and Bob, and they let this concept lead the way as they set about to create their new Jack Arnold home on 90 acres near Casper. 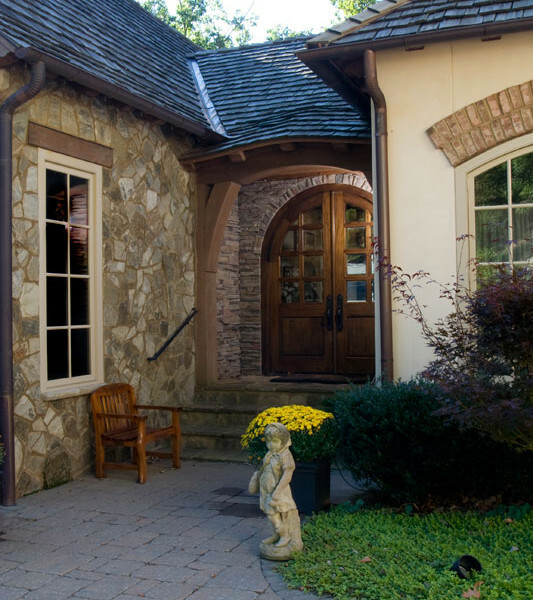 “I’ve always loved Country French architecture,” says Cathy. “And when I saw Jack Arnold’s own home in Veranda a few years ago, I made up my mind that’s what I wanted. 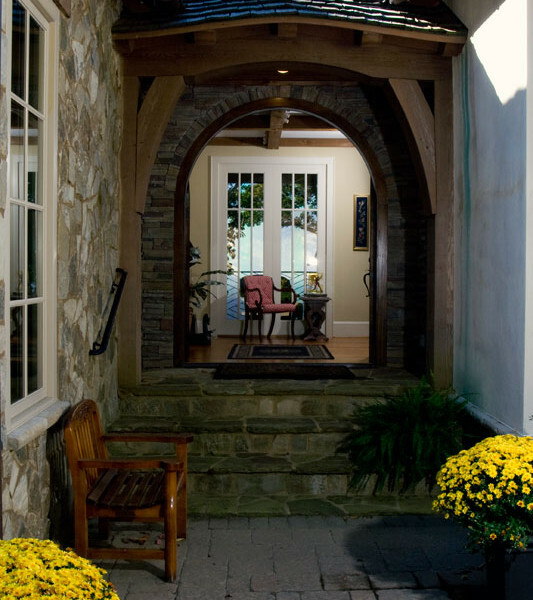 After reviewing several Jack Arnold plans, Cathy landed on not one, but two homes she liked–the inside of one, the exterior of another. The result is a stunning home that feels like the Le Jardin on the outside and lives like the Magnifique on the inside. 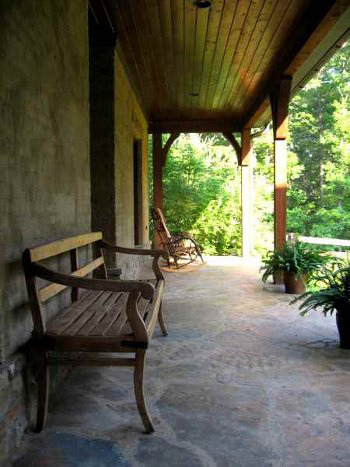 Drystack stone by Southwest Stone in Tulsa, Okla., adds to the unique elegance of the home. 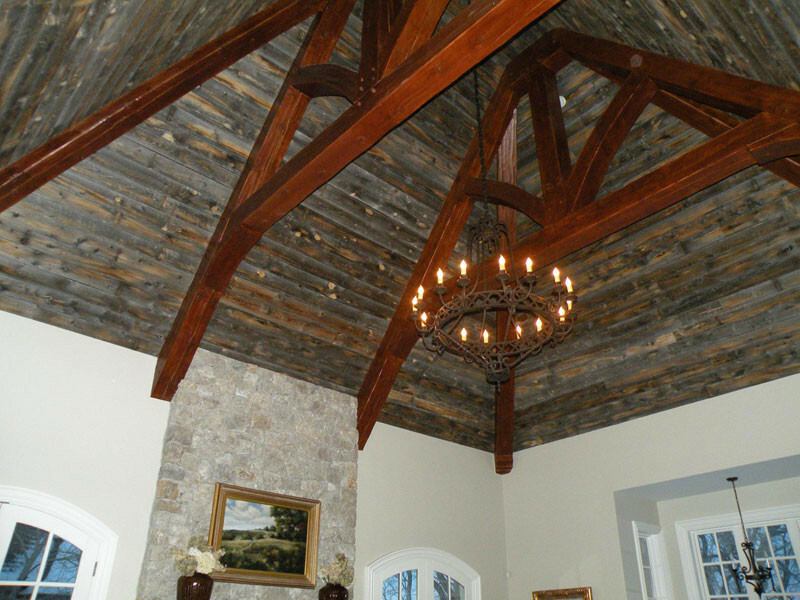 In additional to the extensive stone work, the signature Jack Arnold ceiling timbers and the dramatic inlaid wood in the ceiling of the great room contribute to rustic feel of the home. “My husband just adores those timbers,” Cathy says. 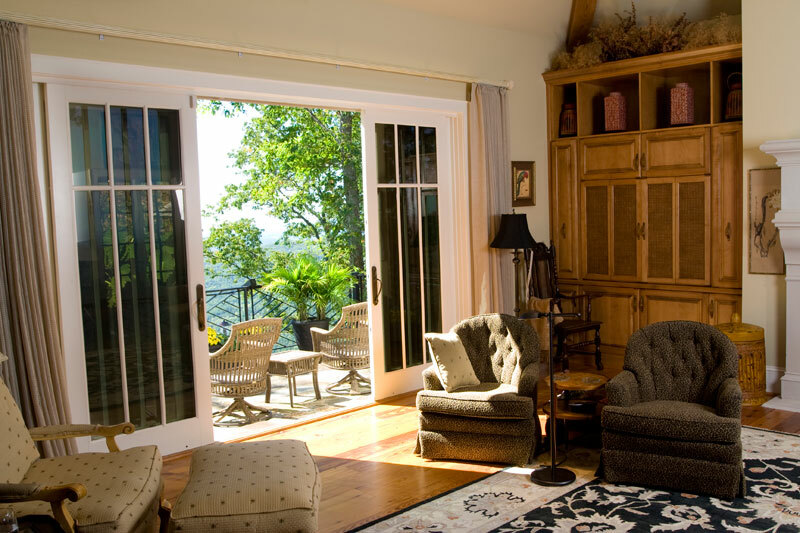 “And I love our mountain views–the floor-to-ceiling windows bring everything in. 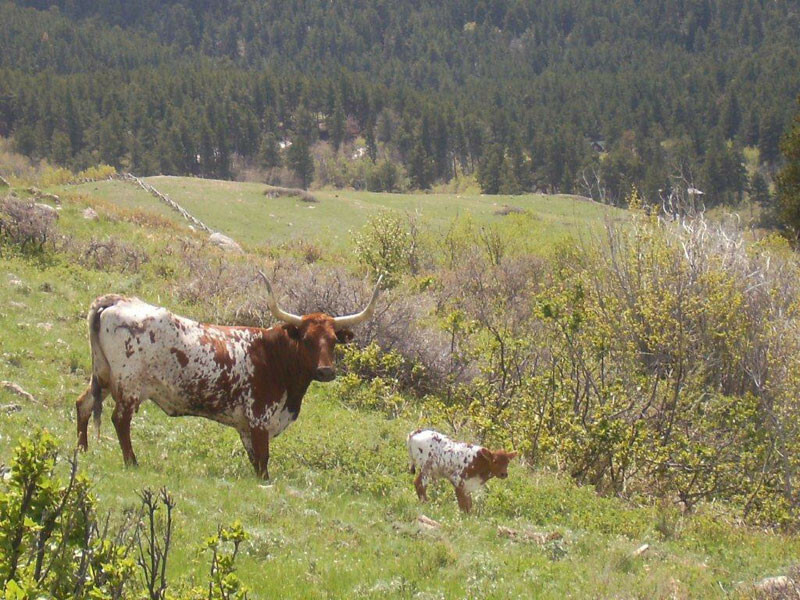 We can even see our longhorns grazing in the meadow!” According to the homeowners, they took their time staking out exactly how to place the home on the land to ensure the ideal view–as well as the best way to handle the wind and snow that a Wyoming winter can bring. “It took us two years to build the house, especially because harsh weather brought construction to a halt for several months in winter,” remembers Cathy. Though Cathy would have loved spending more time working through details with Jack’s architectural team face-to-face, she says the process of working long distance was smooth sailing. “We came to Tulsa for a meeting about the plans in the very beginning,” she says. “I had magazine photos and a lot of ideas that helped get us going in the right direction. Today the couple is able to welcome home their six children, two grandchildren and other extended family for comfortable visits.